Portuguese DJ and producer HedUbble returns to piston with the fantastic Dreams EP. HedUbble grew up listening and capturing sounds from various genres. This gave him a huge archive of sonorities which are applied in his productions. At 24 years old he started DJing in local clubs, with his sets transitioning smoothly between deep house, tech house and melodic techno. Production wise, the early days were more into deep house sounds, but with different influences and experiences, it’s now more a mixture of techno grooves and deep house atmospheres. HedUbble is constantly working on new original projects and remixes, as well as always putting effort to innovate his personal music aesthetics. His last outing here was back in 2014 with Animal Feeling as well as an appearance on our 5 years compilation in 2015, great to have him back for more. The Original Mix of Dreams is a sublime journey between deep house grooves and techy elements. The track is driven by a beautifully rich atmospheric tone thanks to dreamy background pads and subtle arpeggiated notes. The drums deliver a nice tech house flavour while the smooth bassline resides in the deeper house department. But, it’s all about the vibe here and this one will most definitely work wonders on the floors, a must have. 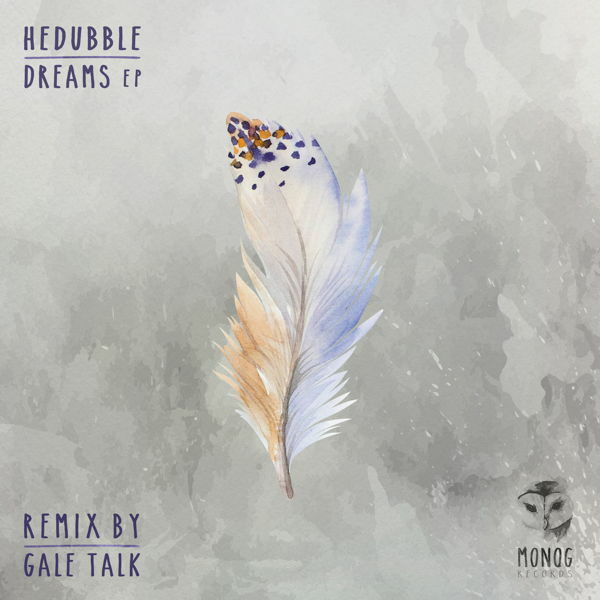 Gale Talk aka Hector Bermejo debuts on Monog with his classy remix of Dreams. With a passion for the exotic sounds he began making his first musical productions at the age of sixteen, these productions were hip hop, house, and techno, among others. His musical influences range from San Diego ´s Soul Music to the bizarre sounds of Warp label. Hector has taken his love for all kind of styles to develop a very personal musical concept. In his role as producer he has worked for labels like Blackplace, Esperanza Records, Ipologica, Phase Insane, or Pong Music. He also works on a project called Ausdru¨cke with his friend and collaborator Galman. As a DJ he has played in many venues across the globe from Israel to Uruguay, always leaving a pleasant memory among clubbers. We’re very happy to have him at Monog and hopefully we will see more soon. On the remix we find ourselves completely hooked into a wonderfully crafted hybrid sound filled with all kinds of contrasting elements. The intro boasts a Latin inspired percussion arrangement accompanied by bright crispy hi hats, sharp claps and punchy kicks, enough to get a dancey rhythm moving. Cool chord stabs fade in as a dreamy atmosphere rises in the background. The stabs become the main focus as the groove intensifies thanks to that punchy bassline. A series of intertwining arpeggios create a stunning melodic sequence that captivates the mind. A seriously superb slice that will be a welcome addition in any peak time set. HedUbble also gives us the beautiful Brainstorm on this EP. Filled with sublime melancholic sounds set against a solid drum section, this one takes us on a mystical journey deep into tech house and beyond. Surreal pianos lead the way, mesmerizing the senses as playful FX cascade up and down. The break throws up a subtle melodic interlude to break the deeper vibe, but only for a short time as we head straight back down the rabbit hole for the duration. A definite contender for those late night sessions no doubt.